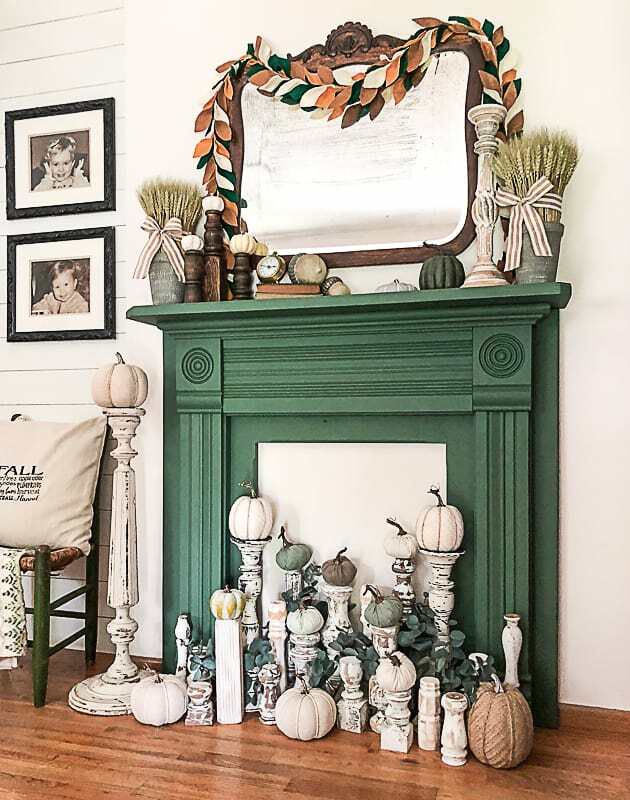 I am so excited to be sharing this wood fireplace mantel today! When Carrie from Lovely Etc. 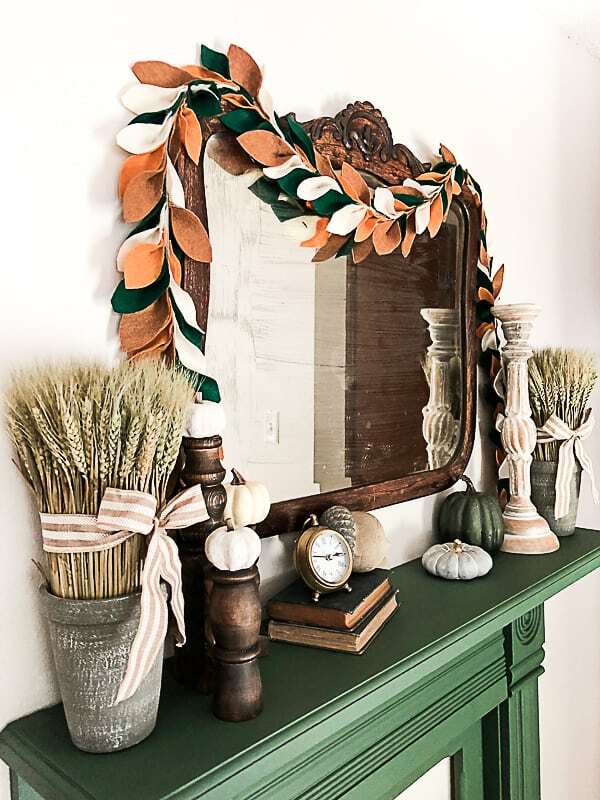 asked me to join this fall mantel blog hop, I was so giddy because we had added this new piece to our living room and was eager to decorate it for fall. Whenever we change one thing in our home like this, it makes me fall in love with the space all over again. 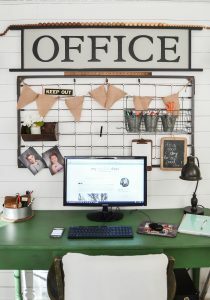 I have said it before, but I get bored with the same decor for long periods of time. 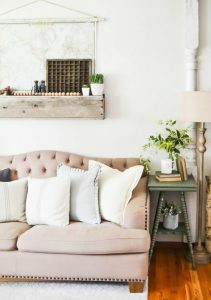 Changing even the smallest thing fuels my decorating heart and motivates me to create different ideas for our home. 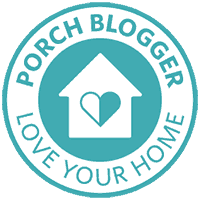 I have been wanting to change things up at the top of the entry stairs in our living room, but didn’t know what I wanted to do. 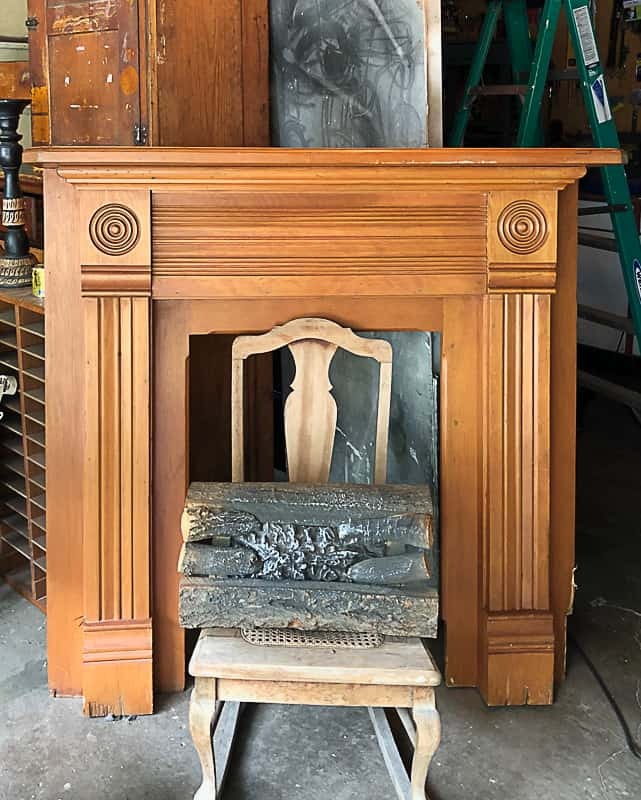 While we stopped at a thrift store in the Des Moines area, this wood fireplace mantel was welcoming me into the store. It was right inside the front door and I didn’t even hesitate. I took the price tag off and walked up to the check out. I didn’t want anyone else to grab it. 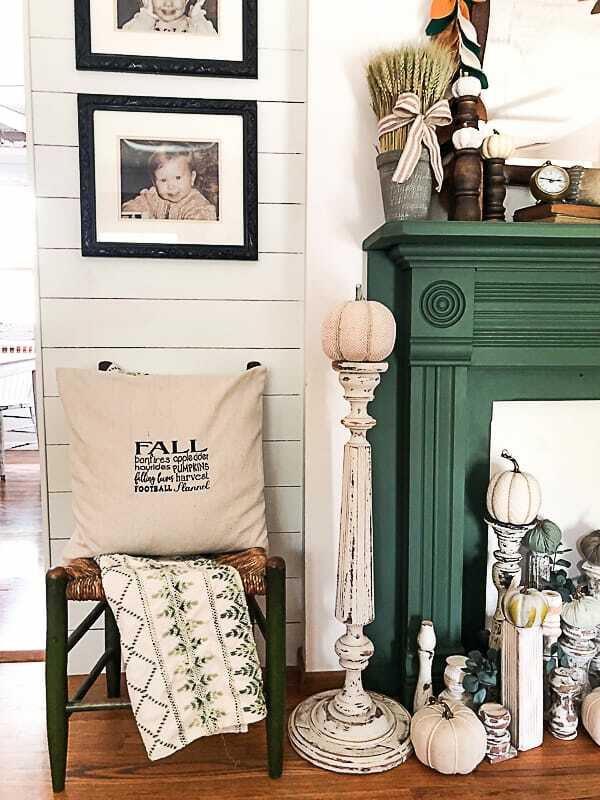 The mantel came with the same faux logs we had in our home growing up! There is a red light bulb behind the logs so when you plug it in, it gives an amber glow to mimic a fire. I always thought those logs were magical. 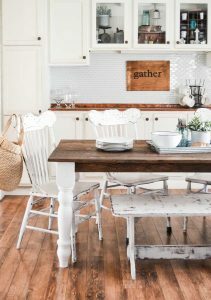 This is what it looked like in the store (minus the rocking chair). I could not wait to get the mantel home and start working on it. 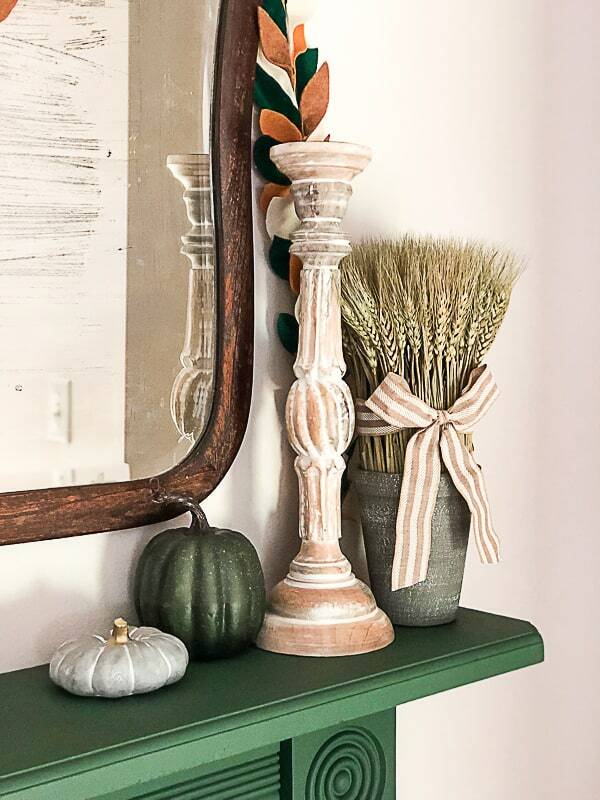 After the mirror was hung, it was time to open our fall bins and see what would work on the new mantel. I love to make candlesticks from old table legs. We made a bunch of them so I could use them as pumpkin stands under the wood fireplace mantel. It looks better than I thought it would! I added some eucalyptus stems to around the stands and the look was complete. 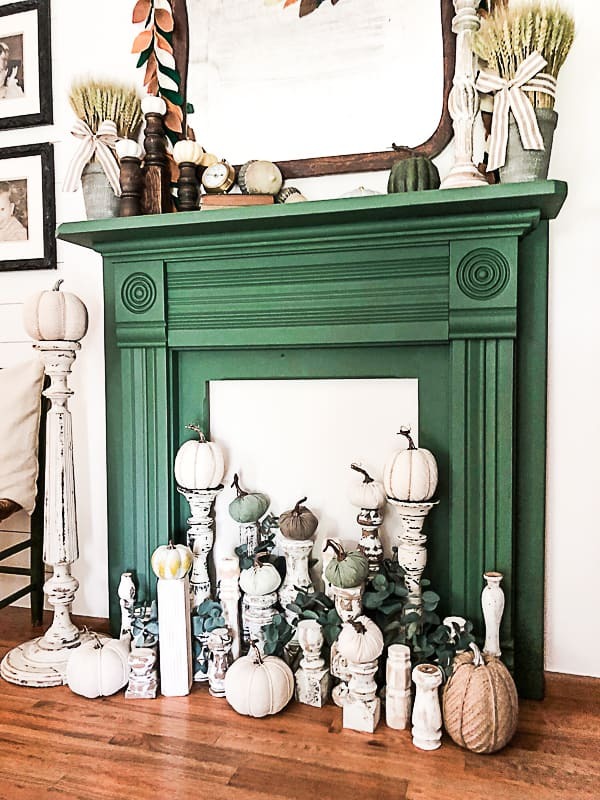 Most of the pumpkins I used on and under the mantel came from the Target dollar bins. I got the beautiful, fall pillow HERE and the eucalyptus stems were also a Target dollar bin find. I am telling you, I am obsessed with this new addition to our living room. I couldn’t be happier with how it turned out. I still have the table that was in this spot previously. I can’t decide which one I like better in this space so until I make that decision, I am keeping both. For those that may be wondering: The logs that came with the wood fireplace mantel are still in the garage. I knew I wasn’t going to use them with the mantel. They are a nostalgic find for me and my mom told me that I had to keep them. I am not sure what I am going to do with them yet, but I am happy they made it home with us. That rich green is BEAUTIFUL! What a lovely statement. And I love how you have so much going on below. Oh my goodness! This is just amazingly beautiful! You styled it perfectly and I love the color!! I’m sorry – did you say $2.99???? That is insane! No wonder you grabbed that tag and headed straight for the check out. And I am absolutely in love with the color and your decor. It’s perfect! Oh my gosh, 2.99?! 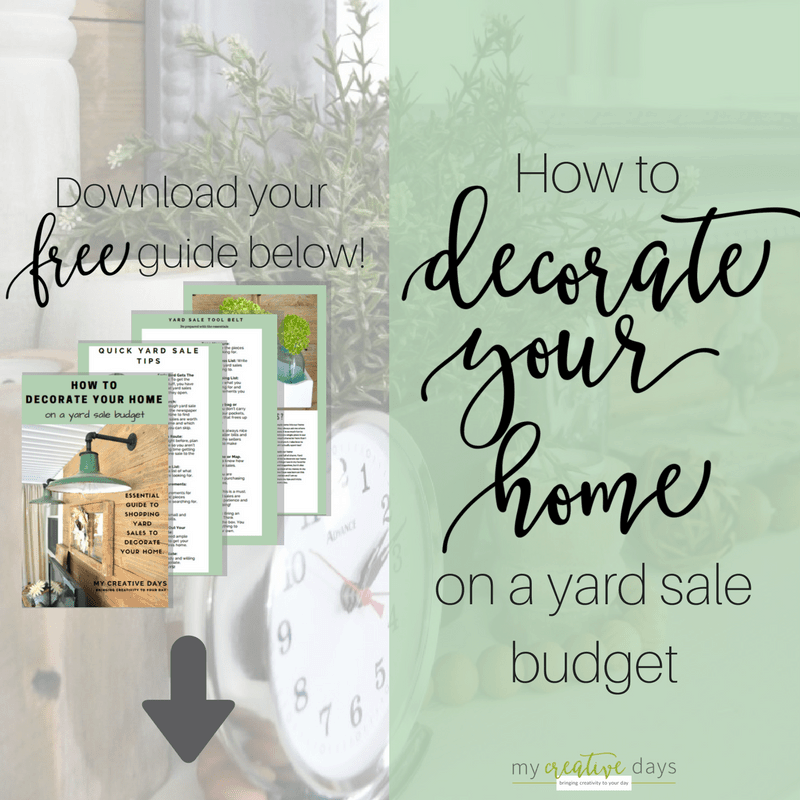 Girl that is a STEAL!! It looks absolutely magical… love it! I can’t believe you got that mantel for $2.99. That’s like winning the lottery! You made it look like a million dollars. I couldn’t believe the price! Thank you so much for stopping by! Wow, Lindsay! It’s all so pretty. 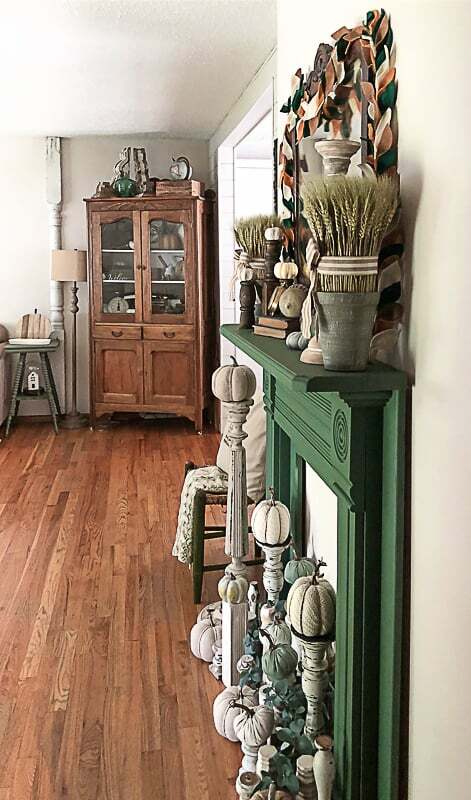 I love the color green you chose for the mantel. I can’t believe you bought it for under $3. That’s insane, yet amazing. 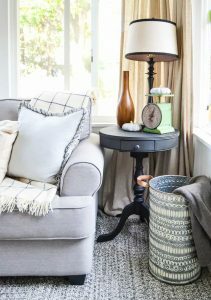 And all those candlesticks from old table legs – so smart. Beautiful work.